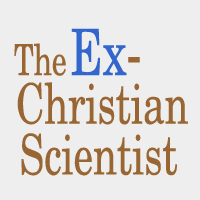 Franklin Zahn was raised as a Christian Scientist and was a CO during WWII. His autobiography is worth reading. My dad was a Concientious Objector. If he hadn’t been one, he never would have become a CS nurse then met my mom and married, then had me. I was always proud of him for that. He was embarrassed by it and never wanted me to tell anyone. I am now Quaker. And I am still very proud of my dad. It was because of his anti-war sentiment, that I am here.